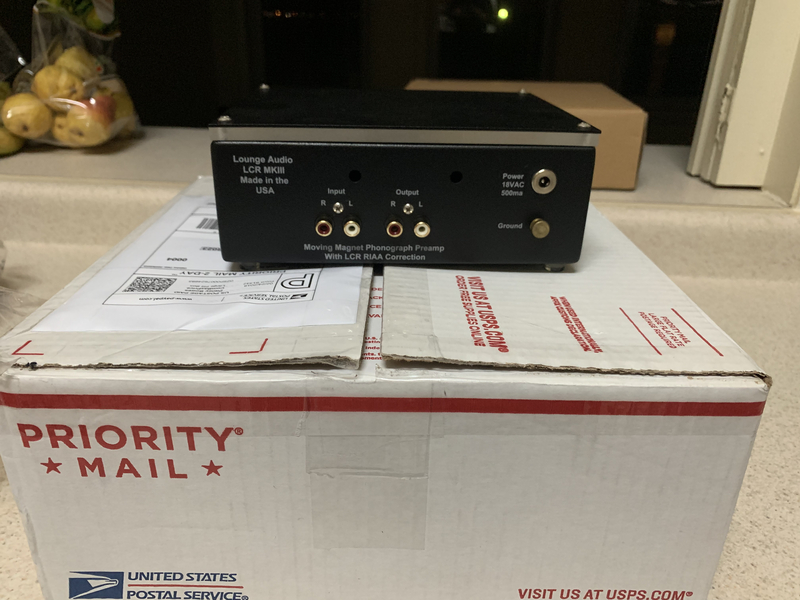 Selling a Lounge Audio LCR MKIII moving magnet phono amplifier. This is a very well reviewed unit and I’m sure most will be familiar with it here. I bought it new in March. It has performed well for me and my previous TT but I’ve moved up to a MC cart on my new table and bought a Rega Fono MC. 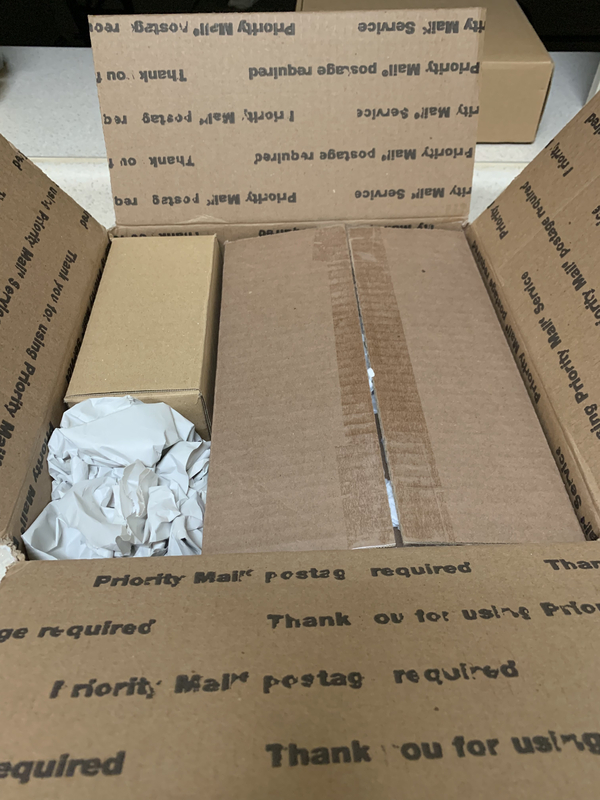 Shipping will be done via USPS in the med flat rate box as pictured. This is exactly how it was packaged from Lounge. It is in like new shape. I am fanatical about taking care of my gear and you won’t find a single scratch/ding/dent etc. Nice price and opportunity for a nice phono pre. Sketchy Craig recommended this to me, and I like it. 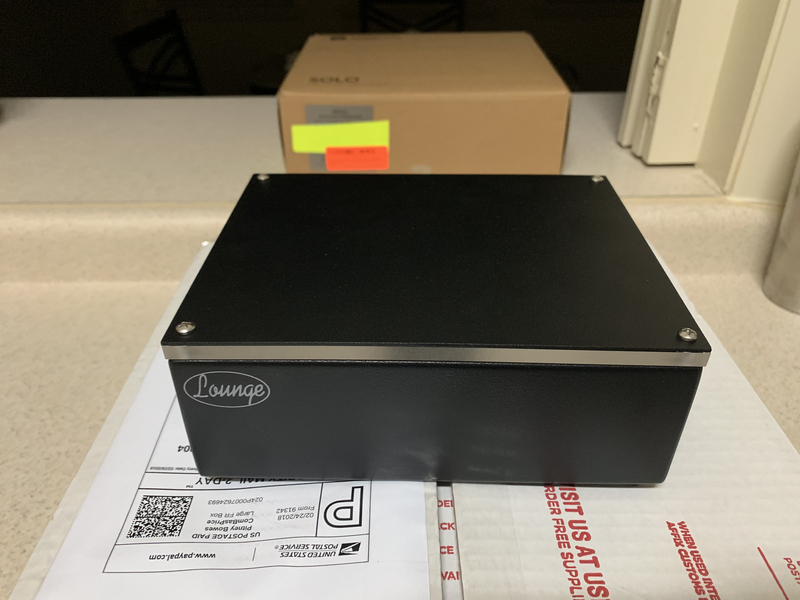 There is no better MM phono preamp under $500. One of my top ten audio pieces from my time with ToneAudio at any price! This is seriously tempting -- I've read nothing but wonderful things about these, and by all accounts these are a bargain (even) at full price. The Lounge arrived this afternoon. As expected, looks like it's brand new. It's a good one, sl. I traded emails with its owner/inventor, a really nice and accessible guy. Would have bought one had it taken MC carts also. He did say he's been ratcheting up the gain on this, current model is 42dB, IIRC. And, they make an add-on for MC, I think. Everything I read about them was super positive. Spin away!